That's what CEO Peter Chou told attendees of a tech conference in Taipei, signaling that, beyond the Magic, the company has a few more tricks up its sleeve in '09. But what? Unlike Samsung, with their similar "at least three" announcement a few months back, HTC has a track record here, but considering how short their Android line is now a redundant Magic/G1-esque handset seems unlikely. The most obvious new direction to take would be a BlackBerry-esque QWERTY phone, something that the OS is more or less ready to handle, and that desperately needs to be explored. 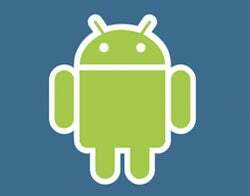 Why Do the Android Phones Have Chins?